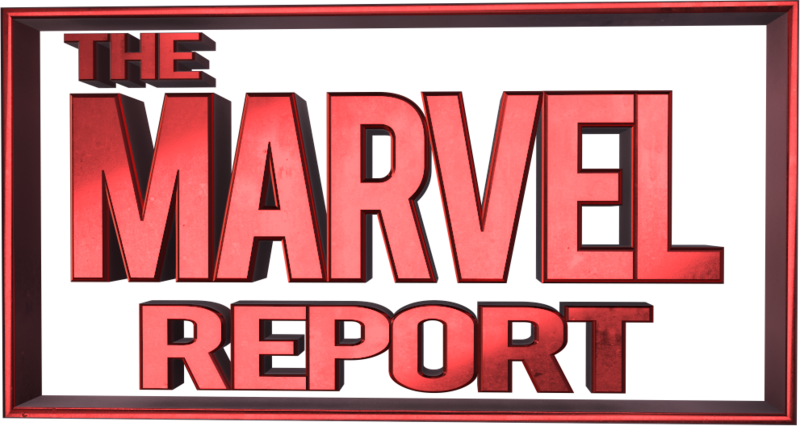 This past weekend, Wizard World Philadelphia became Marvel Central as the convention hosted numerous actors from various Marvel movies. You’ve probably seen some of the photo ops that fans took with Chris Evans, Hayley Atwell, Chris Hemsworth, Tom Hiddleston and others who attended the con. Fans traveled long distances and spent a lot of money to spend just a few seconds with their heroes and the unwavering opinion was “worth every penny”. However late Sunday there were reports of an incident involving Chris Evans. The details varied but fans made comments like “all it takes is one” and “this is why we can’t have nice things”. Was it true, wasn’t it true? Did anything actually happen, if so WHAT actually happened? That’s not the point of this article. 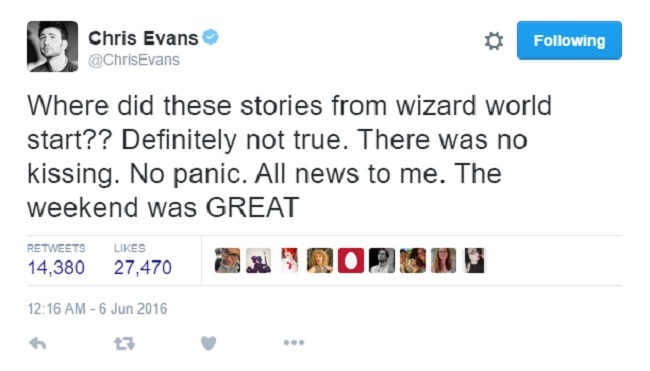 If Evans says it didn’t happen and he’s fine, I’m taking him at his word. Last night I went to bed thinking what I was going to say in a reactionary article that I would write this morning. Instead, I’m writing a precautionary article so that something like this doesn’t happen in the future, and we actually CAN continue to have nice things. Actors like Evans, Atwell, Hemsworth, Hiddleston etc. have it all. They’re good looking, famous, they make movies, and they make a lot of money doing it. But they are also human beings and not one of us on this planet is perfect. We don’t know what issues they have now, or may have had in their past. We don’t know what any of them have been through in their lives and what may trigger a negative reaction. None of them are obligated to attend a single convention. Do they get paid well to attend? Of course, as they should. But paying for an autograph of a photo op does not entitle a fan to do whatever they want to or with the actors. There is also a double standard involved. I think most people would agree that if a man walked into a photo op with Hayley Atwell and kissed her or gave her a huge bear hug, that would probably not be ok. But Someone like Evans or Anthony Mackie or Sebastian Stan, all good looking men, certainly wouldn’t mind a woman coming in and wrapping her arms around them or kissing them on the cheek. Right? Well, actually that’s equally not cool. I’ve done photo ops with actors before. It’s a blast. As you get closer to them, you get more and more excited. You can’t wait for just a few seconds with them and then suddenly it’s over. There is usually a big line of people and there is only so much time to get the photos done so the crew working the photo ops has to move people quickly. That said, this is how I always approach my photo ops and you should too. Have a plan. Unless you just want to go in there and stand next to them, have a vision in your mind of what you want to do. I like to do funny poses or incorporate props in my photos (like the one of my son and I with Elizabeth Henstridge and Brett Dalton at the top of this article). Know what you want to do. Have a backup plan. In the event that they aren’t ok with your plan, always have a Plan B. Remember that what is ok for one actor might not be ok for another. They are all different people and are ok with different things. Be respectful and polite. This may be common sense to a lot of people, but please and thank you go a long way. Last but not least…have fun!!! 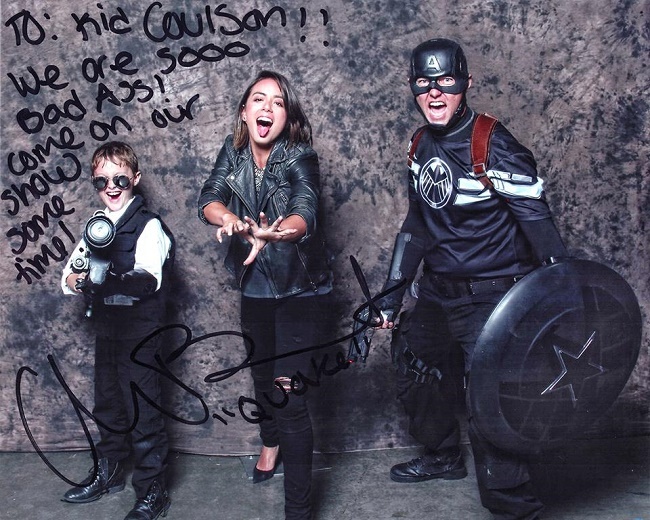 For our photo op with Chloe Bennet, I wanted to make it look like we were all screaming…and we did! All three of us are screaming out loud in this photo. It was hilarious, and she loved it. She even ran around to look at the back of the camera to make sure she was happy with it. More and more actors are making convention appearances and we CAN have nice things. 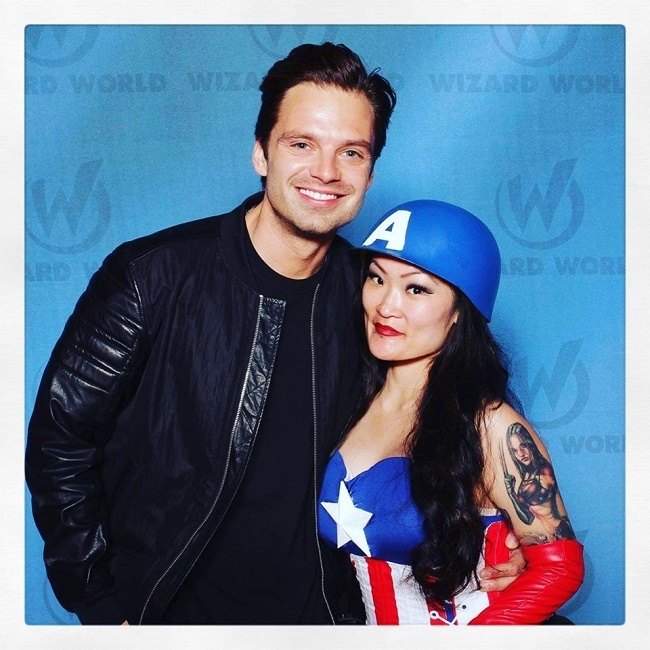 But of the thousands of fans who take photos with actors each year, it only takes a handful of bad incidents to turn the tide and make them change their minds about attending. Great article! I don’t go to many cons because of my issues with large crowds of people and anxiety and I’ve only done the photo op thing twice. Both times, I let the actors take the lead and do what they were comfortable with. I’m not crazy about physical closeness with strangers and both times, the actors pulled me in for tight hugs. It all happened so fast that I didn’t even have the chance to really say anything (once I apologized because John Barrowman pulled me in so hard I stepped on his foot but he responded with, “Oh sweetie, you can step on me all you want.”). But mostly, it was a blur of nervous laughter and I was just happy to be standing next to them. As a fan, that’s really all I want in a pic. I don’t care about silly poses or props or any of that. They bring to life the characters I love most. So I say “thanks” and keep a respectful distance, always conscious of the fact that the whole fandom thing must be overwhelming to them at times as well.